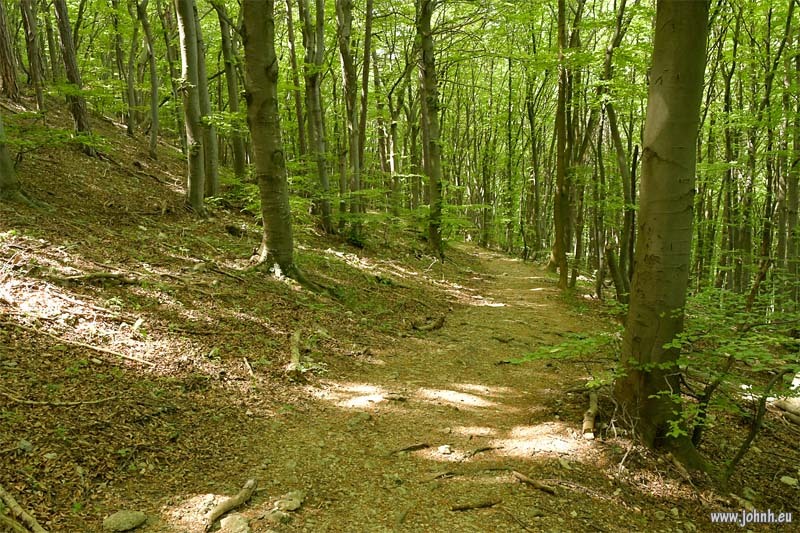 Great trail bike country in the Vienna woods (Wiener Wald) up from Gumpoldskirchen. This is the Anniger mountain (675 m.). My friend with the Scott 700 took the short ride on the S-Bahn out of Vienna - the bike needs a ticket too. This is forested limestone country. There are a number of Jubiläumswarten (Jubilee Towers) which poke above the forest canopy to enjoy panoramic views of the Alps, Vienna and the Carpathian mountains. Road ride from Pointe Rouge and la Madrage de Montredon then in the Parc National des Calanques onwards to the fishing village almost at the end of the road, Les Goudes. 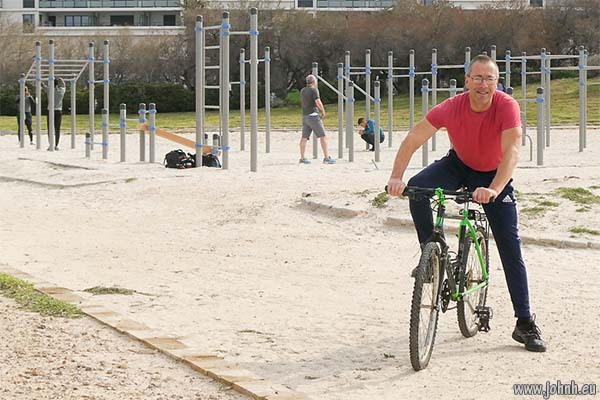 Riding my Marin Palisades Trail (1990s) to the one of the Fitness à l’air libre (outdoor gym) at Parc Balnéaire du Prado, the Prado Beach Park in Marseille. Muscle Beach, Santa Monica, California this one is not, and so much the better, but it’s good to do my regular stretching routine outdoors in the sea air and sunshine, away from the worst of the air pollution. No suspension at all on this vintage bike. There’s another Fitness à l’air libre installation in Parc Borély nearby which is very much place for the big guys.